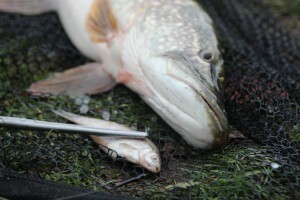 Pike Fishing… Legered Dead Baits. 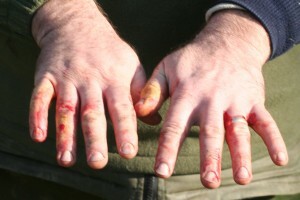 I love pike fishing, I am certainly not a master of it but I am proficient enough to handle them without injuring myself but more importantly the fish, pike fishing is something that I think only the experienced angler should attempt as they are probably the most dangerous of all our fish but also one of the most fragile. I say dangerous but not in a Jeremy Wade, Jungle Hooks man killer kind of way but rather a razor sharp mega toothed will slice you to bits and you won’t even feel it kind of way. Forceps, snips, heavy scissors and nerves of steel are a must when it comes to pike fishing as is an unhooking mat and a decent landing net. 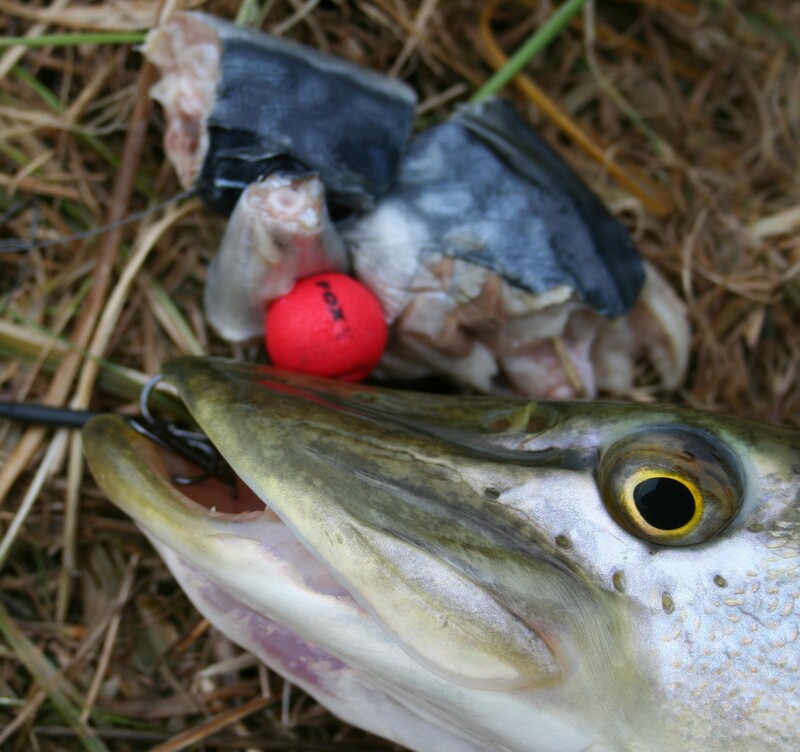 Something else that is also a benefit to anyone fishing for pike is a brain because some of those that “pike fish” and let me be clear on this I am not talking about the good guys here, the serious pike anglers that love their fish but rather the glory hunter types who are without doubt some of the worst types of angler that I have ever seen out on a water.Some of these dickheads let a fish run for days before striking, then after all the effort of catching the fish they throw their catch up the bank to help preserve silverfish stocks! 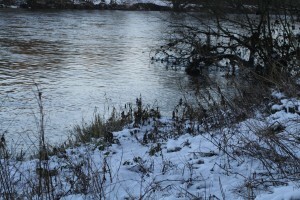 Some idiots even transfer live-baits between waters and on occasion use more rods than is legally permissible and then there are those that take them for the pot and in numbers that are simply not sustainable nor ethical so what I would say is this if you witness anything that is untoward get in touch with the club that runs the water and also get in touch with the EA and report it, it isn’t grassing, it is preserving the future of our stocks. Anyway let’s move on to what is one of my preferred methods for catching pike, the legered dead bait! I know that lure fishing and live bait fishing and fishing with a suspended bait either live or dead beneath a float are all good methods and I enjoy them all from time to time, I have to say for the ease and simplicity coupled with results, for me, it has to be the legered dead bait. 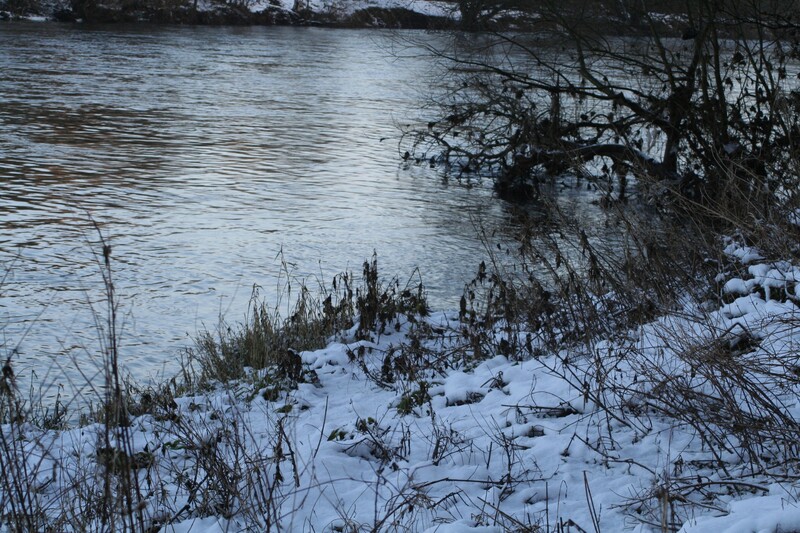 The time of year when I generally do most of my pike fishing is winter and spring and that being the case the pike I am targeting can often be found laying up in likely ambushing spots as the water is very cold and the fish rather lethargic. 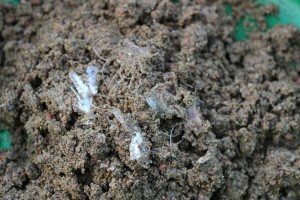 This lethargy can be measured and proven by the numbers of parasites that can be found on the fishes body when they are caught, when fish are active and hunting these creatures get scraped away, so the more they have the less they are doing is the rule of thumb that I stick to so that being the case when the weather is at its coldest coupled with secondary evidence relating to the number of parasites I find on the first pike I catch the tighter to features I will get my bait. The parasite on the right is an Argulus fish louse that is more often seen on carp but they do turn up on pike as well, in fact last summer me and my fishing mate Dan found a very distressed pike that was floundering in the margins of the Trent and when we went to see what the problem was we were shocked at the number of parasites the fish was hosting, literally thousands. 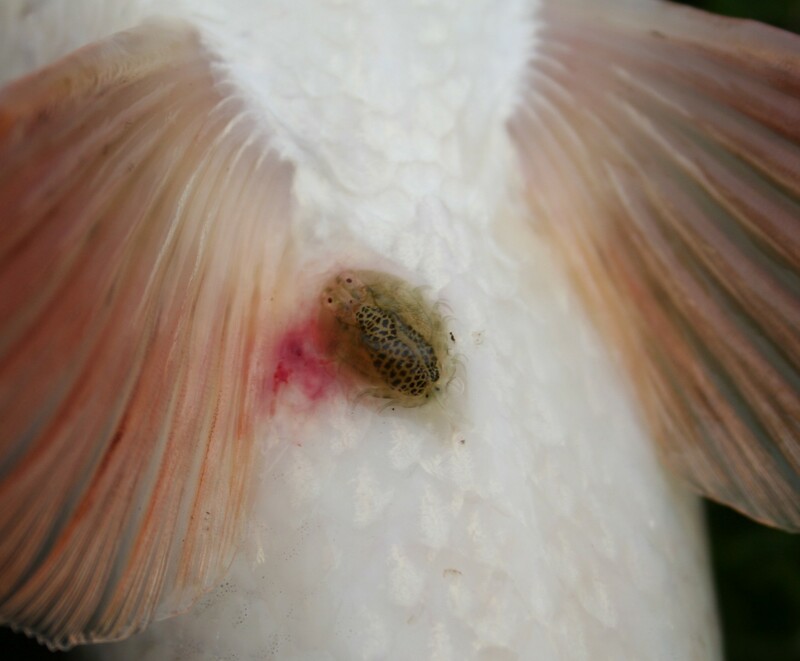 The fish was done for and it died soon after we found it. Anyway, moving away from parasites because they make my skin crawl lets talk about rigs! 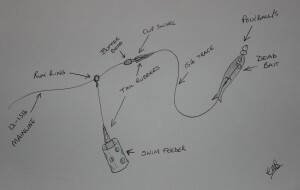 I have for years incorporated the swim feeder into my pike fishing armoury, open ended swim feeders are great for introducing a little bit of chopped fish and fish oils into the vicinity of the hook bait and it is my opinion that this increases my catch rate significantly against an angler that uses a straight lead with no extra attraction involved. Of course if I lived closer to my pike fishing water I could go down the route of pre-baiting with chopped up waste fish but I don’t therefore I will stick with the feeder approach to boost my rigs attraction. I also make my own traces that are generally a little bit longer than those sold commercially, it does save some money doing this but not as much as you would think, my reason for making my own traces is that I can make them however I like. One of the best rigs I have used over the last few years has been a variation on Mick Browns Kebab rig. This rig has worked a treat over the last couple of seasons for me, don’t judge the rig on how it looks in the picture on the left judge it on its results. 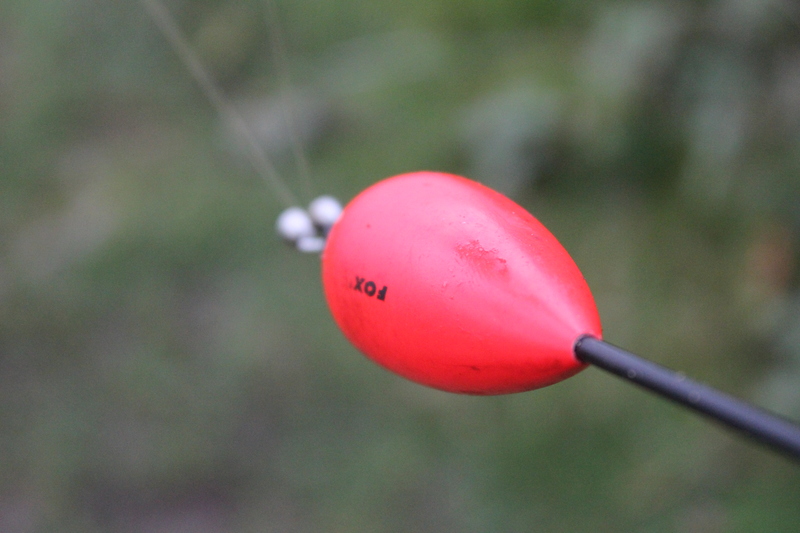 I also tend to add a poly-ball to my dead-baits to counterbalance the wight of the bait and render it slightly buoyant so that it wafts and behaves in a very natural manner even though the bait is on occasion chopped up and has a big red ball stuck on the end of it, it does work a treat…I never said pike were intelligent did I? 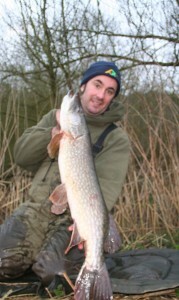 No, pike are not the most intelligent of species but compared with barbel they are like Albert Einstein. 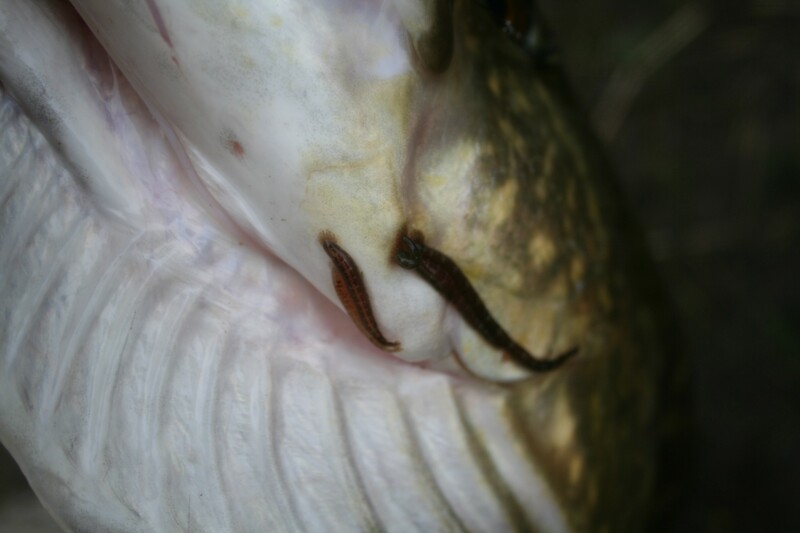 Take for example their habit of dropping baits if they feel something is amiss, I have never had a barbel drop a bait on me, nope once it is in their anti-eject mouth the hook is pretty much guaranteed to find purchase somewhere and a three foot wrap around is on the cards. 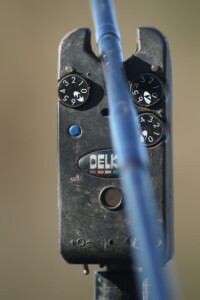 Pike bites on the other hand can be quite gentle affairs in comparison and even with high-end alarms I often find that I notice a gentle tap on the rod tip long before anything shows up on either the drop-off or the Delkims and this is when my rule of three comes into play. What is my rule of three? Once I see an indication, regardless of whether or not the alarms have registered it, I pick the rod up, count to three, engage the bail arm and strike! The last thing I want to be dealing with is a deep hooked pike, no, not for me, I certainly don’t go with the old wives tale of waiting for the second run! 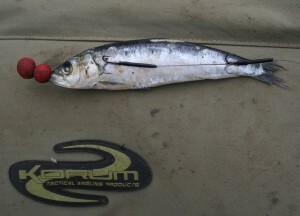 Hit the run early and generally the hooks will be nicely slotted into the scissors and with barbless or semi barbless the job of unhooking is generally a very straight forwards affair. 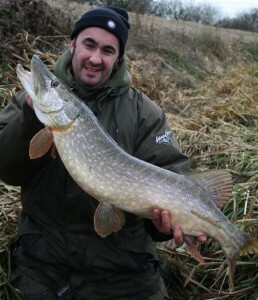 The water temperature is cooling down…Go and have a go at pike fishing! Forceps, pliers, snips and a small first aid kit! Lee,a very informative and common sense approach to pike fishing and pike welfare I really enjoyed it….Alan..